Intimate Partner Violence occurs between two people who are in an intimate relationship – that is people who are dating, living together or married. It can happen in LGBTI* relationships as well as with straight couples. 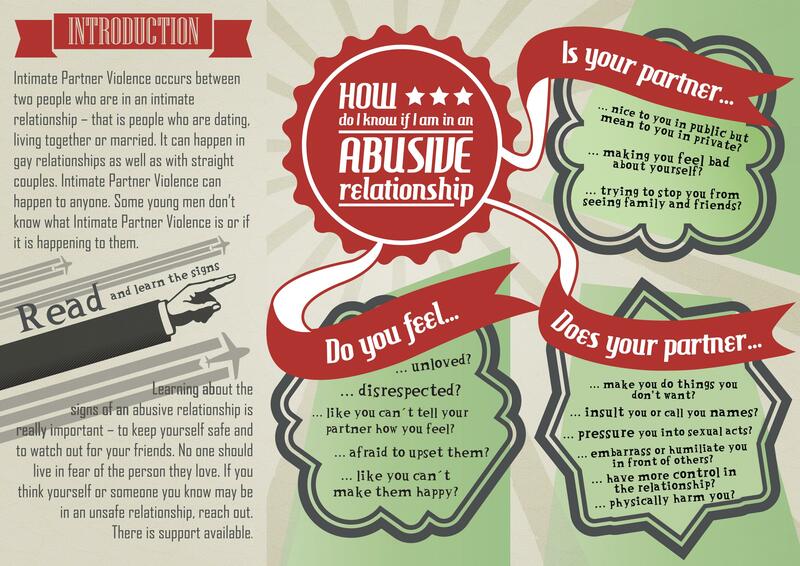 Intimate Partner Violence can happen to anyone. Some young people don’t know what IPV is or if it is happening to them. Some adults don’t realise it can happen to young people. It happens to men too! 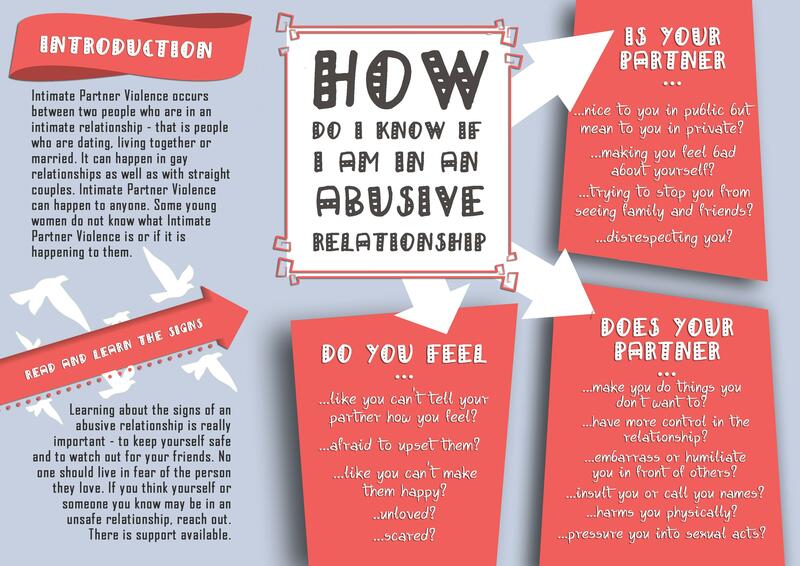 Learning about the signs of an abusive relationship is really important – to keep yourself safe and watch out for your friends. No one should live in fear of the person they love. Nice to you in public but mean to you in private? Making you feel bad about yourself? Trying to stop you from seeing family and friends? Disrespecting you? Make you do things you don’t want to do? Have more control in the relationship? Embarrass or humiliate you in front of others? Insult you or call you names? Harm you physically? Pressure you into sexual acts? Like you can’t tell your partner how you feel? Afraid to upset them? Like you can’t make them happy? Unloved? Scared? Want to chat? Not sure what’s going on? 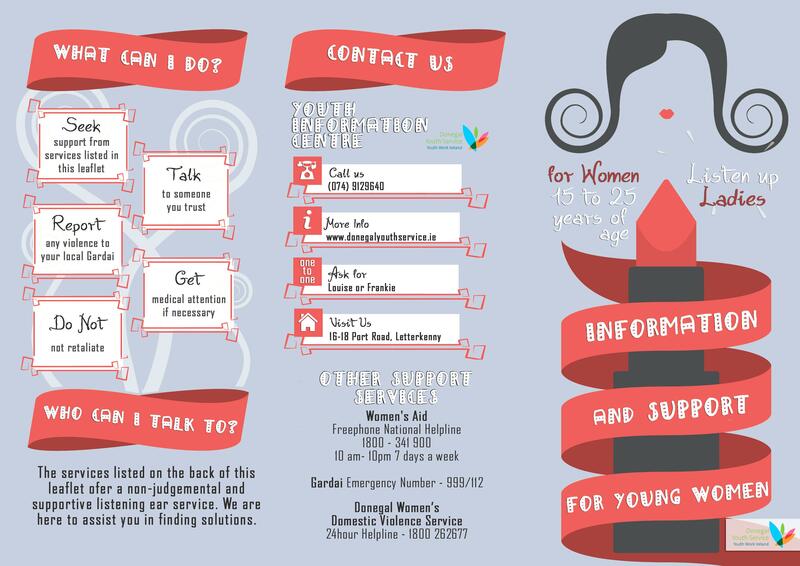 The design and content of these leaflets were created in consultation with a group of young people who did an 8 week programme on IPV at DYS. They do not list all the signs and behaviours that can happen with intimate partner violence or the many forms it may take, but they do list many of the most commonly reported by young people. If you are worried about yourself, or someone you know you can drop in and chat to us 16-18 Port Road, Letterkenny, or call us on 074 91 29630 and ask for Louise or Frankie. Looking for a map? Look here. ‘Food From The Holy Land’ Event Tomorrow | All Welcome! Be the first to hear DYS news, job advertisements, competitions etc! 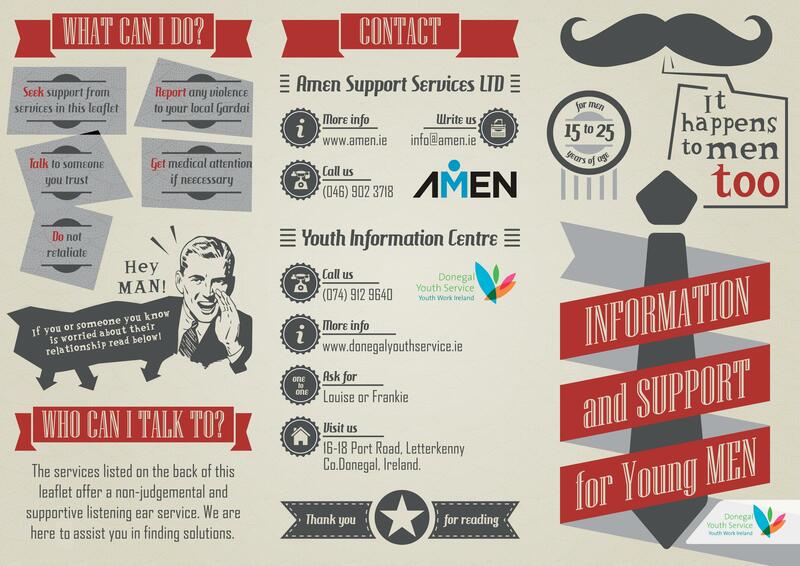 Copyright © Donegal Youth Service. All Rights Reserved. To complete your download you must agree to the terms below. 1. Download, read and utilise all of the documentation in full in the manner it is intended. 2. Not make any changes or alterations to the document(s). If you do not agree to these terms please click 'disagree' and leave the page. Thank you!